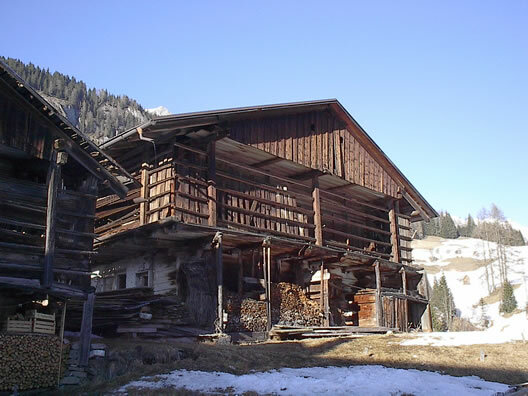 Sappada offers to the tourist, a lot of occasions of amusement, along the mountain valley you will find bar, pub's, and locals of fun, all are typical and characteristics. There is a great park where the children can play, here the mommies can leave to play the children in absolute calm enjoying itself the peace and freshness of the park. in varied periods of the year there are already traditional appointment with the most varied occasions of fun, among which we remember in August, the "Beer fest" , with evenings well organized, musical complex of prim' order and excellent Beer from Germany is a really sole occasion of amusement. During the abovementioned party, there is the possibility to do some turns in helicopter from which is possible to enjoy great views of Sappada valley. Another important appointment is the carnival. 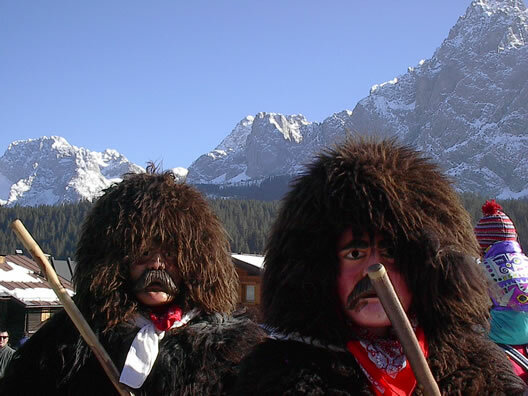 It is the main event of the Sappada winter. Tradition and folklore, a wish for fun and plays, lading to a special event and attracting children, tourists and local residents all the same. 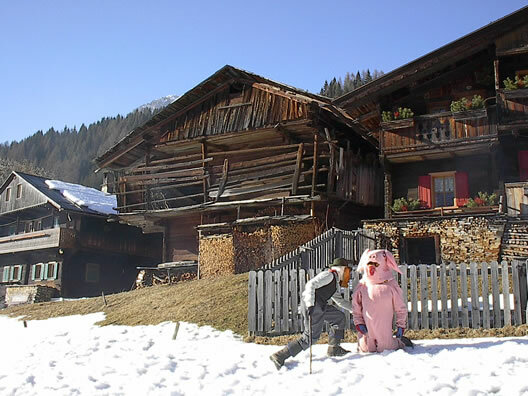 The Carnival in Sappada is anticipated by the preparation involved that puts to work the local associations. After that the Shrove Monday comes which is dedicated to the "Rollat". On the Mardi Gras day and again on the Thursday before Lent it is time for the Carnival floats. 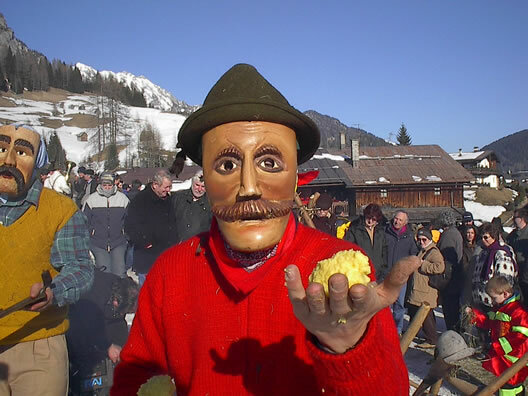 That is the role of the masker symbol of the Sappada Carnival. 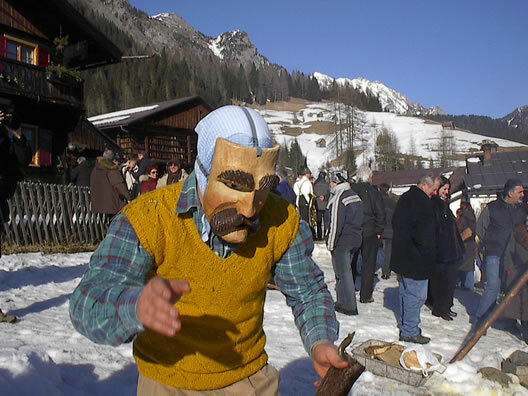 His mask is made of wood, a scarf around the neck, a sheepskin over the shoulders for this protagonist of the parade. in fact the long parade through the crowd along the village is started by this important figure. The rollen, which are bronze wheels worn around his hips as a belt, announce that he is approaching. The name Rollat comes precisely from these wheels. A serious masque to be afraid of and hence attracting attention and regards. 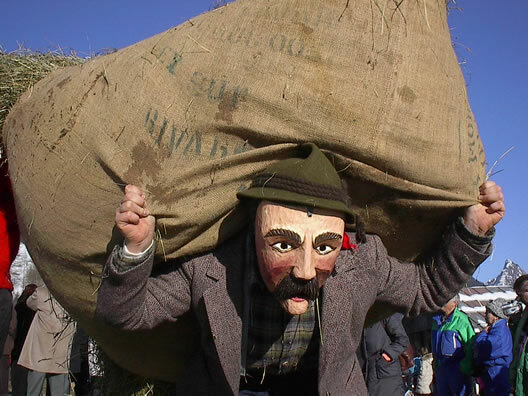 He is considered the keeper of the Carnival parade. Quite like a real defending champ of the local community.